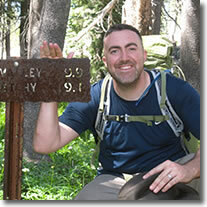 A lifelong Californian, Robert Hanna has spent his entire life in and around the Sierra Nevada Mountains. He is the great-great-grandson of the famous naturalist John Muir, and the founder of the outdoor-inspired clothing brand Range of Light. In 2011 when the state of California proposed to close 70 state parks due to the failing economy, Hanna stepped in and was a key figure in the successful effort to stop the closures and keep every one of the parks open. In the same year he also successfully worked to unite California’s elected officials in passing legislation aimed at preventing future park closures. More recently, he worked successfully in passing legislation allowing free access to our military on Veterans and Memorial Day, as well as legislation recognizing the Buffalo Soldiers and their historic legacy tied to our national parks. He is currently working on more solutions-based legislation related to connecting people to parks. Additionally his efforts include the restoration of Hetch Hetchy Valley in Yosemite National Park and addressing diversity and relevancy within parks and environmental organizations. He is also working to assist in the creation of additional state and federal parks and monuments. Rick Heide owes a debt of gratitude to California’s community colleges for a fulfilling 48-year career in helping produce “the written word.” After Army service overseas, he was working as a delivery man, hauling potatoes to restaurants. In 1967 he enrolled part-time at Merritt, an Oakland community college, and started taking Journalism courses. The Merritt College cafeteria was where Bobby Seale and Huey P. Newton had formed the Black Panther Party a few months before. Merritt was also the scene of struggles to establish the first African-American Studies Department and first Latino Studies Department in the U.S.A. Rick soon became Editor of the Merritt College newspaper and they won two College All-American Journalism awards for their coverage of those turbulent times. Rick then worked on the “underground” Berkeley Barb and was a co-founder of the Berkeley Tribe. After a year at the Associated Press in San Francisco, Rick helped form Archetype, a typesetting company serving the dynamic multicultural Bay Area publishing scene. In his 20 years as working-typesetter and owner, he helped produce many hundreds of books and many thousands of magazines, academic journals, and newspapers. A devotee of “lifelong learning,” Rick got his B.A. in History from U.C. Berkeley at age 31 [thanks to community colleges and the G.I. Bill] and his M.A. from the University of London at age 52. 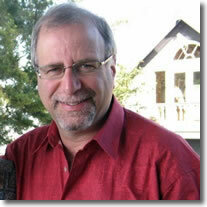 He has worked closely with Berkeley’s Heyday Books for over 30 years, co-publishing a number of books with them. He is the editor of Under the Fifth Sun: Latino Literature from California, which won a 2003 American Book Award. With Sierra College’s Gary Noy, he is co-editor of the critically-acclaimed The Illuminated Landscape: a Sierra Nevada Anthology. Currently he is working on a memoir, largely focusing on East Bay basketball since the 1950s. Rick is proud to be working with Sierra College Press, the only full-service community-college press in the United States. Nearly 50 years after he found his passion for “the written word” at a community college, it seems fitting. David Kuchera was born in Quantico, Virginia, as the third and youngest child of U.S. Marine parents. He discovered history and U.S. geography as his career military parents traveled coast to coast by car, between transfers from base to base. As new highways and interstates were being developed (50s and 60s) David discovered Routes 66, 30 and our own 40. Landing in Santa Ana he continued his explorations of the U.S. as the family traveled from California to Ohio and Massachusetts where his grandparents lived. David began his college education at Santa Ana College. Later he attended CSU Sacramento where he earned his B.A. and M.A. in history as well as completing his Secondary Teaching Credential. 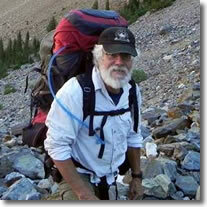 His Sierran experiences included working for both the US Forest Service as well as the National Park Service. He began teaching at Sierra College in 1989 (part-time) and began his full-time career in the history department there in 1997. He teaches American and California history and is co-editor of Snowy Range Reflections: a Journal of Sierra Nevada History and Biography and is a member of the Board of Directors of the Sierra College Press. Vernon Martin has a B.A. in Philosophy from the University of California, Santa Cruz. He earned his M.A. in Philosophy from the University of North Texas. 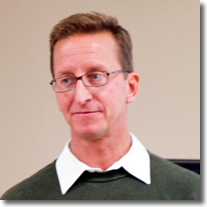 He started teaching philosophy and humanities at Sierra College in 2005 and is now Professor and Chair of the Philosophy and Humanities Department. Joe Medeiros taught botany, ecology and natural history for more than 35 years at Modesto Junior College and Sierra College. He was a National Park Ranger-Naturalist for Devils Postpile and Sequoia-Kings National Parks. 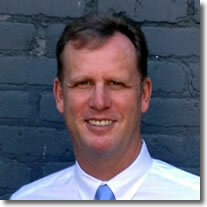 He currently serves as Editor-in-Chief for the Sierra College Press in Rocklin, California. 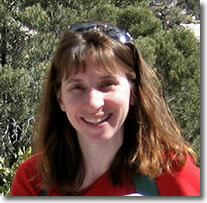 Sarah Null is an assistant professor in the Watershed Sciences Department at Utah State University. Her research program address the potential to enhance aquatic and riparian ecosystems while maintaining water resource benefits for people in water scarce regions, particularly the American West. She did her master thesis on water resource implications of removing O’Shaughnessy Dam and remains actively researching promising solutions to restore Hetch Hetchy Valley. She received her Ph.D. in Geography from UC Davis in 2008 and was a postdoctoral scholar the UC Davis’ Center for Watershed Sciences. Previous research includes managing environmental water quantity and quality for Coho salmon in California’s Shasta River and evaluating the vulnerability of Sierra Nevada watersheds to climate change. 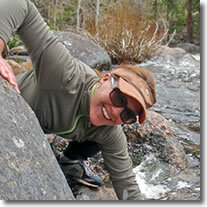 She grew up in California, spending considerable time hiking and skiing in the Sierra Nevada Mountains. 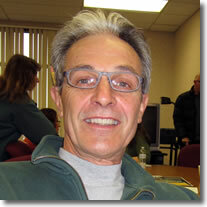 Bruce Pierini is Adjunct Professor of Anthropology, Sierra College and Sacramento City College. 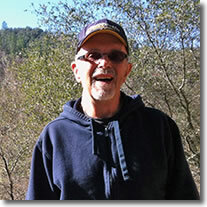 He teaches courses in Native California and Native North America at Sierra College's Nevada County campus. Pierini authored, The Italians of Sacramento: Family, Culture and Community (1991). He served 6 years at Sacramento City College as Co-Director of Staff Development for faculty lecture series, conferences and visiting scholars. He served as Co-Director Sacramento Ethnic Survey Project (California Council for the Humanities) and is a past frequent contributor to Sacramento Bee Forum section on history and urban development. Spreck has more than 25 years’ experience working on water and power issues in his native California and other Western states. Before joining Restore Hetch Hetchy in 2012, Spreck worked for the Environmental Defense Fund and with conservationists, Indian tribes, government agencies and water districts. His work was focused to protect the Colorado River in the Grand Canyon, restore California’s Trinity River and manage and restore wetlands, streams and California's Bay Delta. At EDF, he was lead author of “Paradise Regained: Solutions for Restoring Yosemite's Hetch Hetchy Valley.” Spreck is recognized as an expert in water system operations and planning by the California legislature, the state water board, and the federal courts. Spreck brings both passion and practicality to Restore Hetch Hetchy. He understands well that restoration will only be possible if San Francisco and other cities are kept whole with respect to water supply, but believes that our nation’s love for Yosemite will ensure that a solution will be forthcoming. Jennie Skillen is Professor of Biological Sciences at Sierra College. She has a Bachelor’s degree in biology from UC Davis and a dual-major Ph.D. in Wildlife and Fisheries Biology and in Ecology, Evolutionary Biology and Behavior from Michigan State University. Her dissertation focused on the influence of landscape structure on the diversity of the bird communities. She has worked as a field biologist on projects ranging from San Joaquin kit foxes to jumping slugs with the U.S. Forest Service, California Department of Water Resources, Oregon Department of Fish and Wildlife, and Bureau of Land Management. She now teaches various zoology and natural history courses at Sierra College where she is also involved in the Sierra College Press and the Sierra College Natural History Museum.